A significant, but largely overlooked, part of local history is celebrated at a new senior housing development now open in El Cerrito. 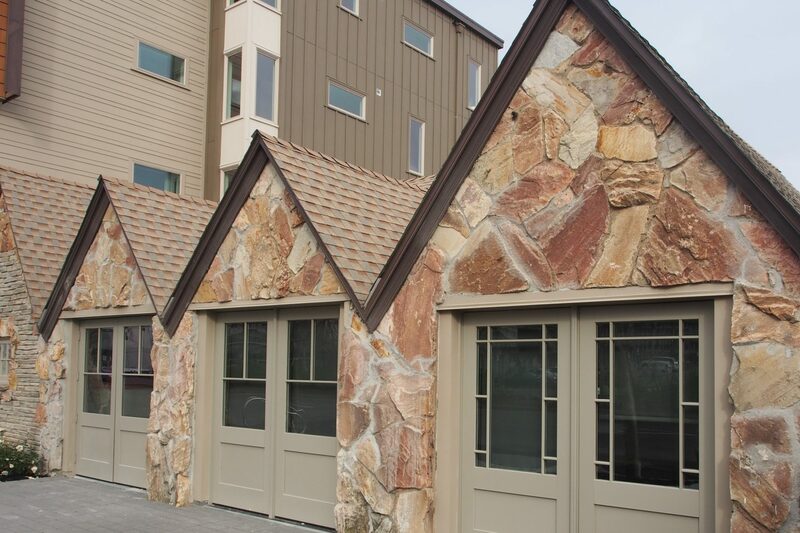 A small restored building, an outdoor public plaza and Japanese Heritage Garden with interpretive signs, and sidewalk markers are central features of Hana Gardens, a mixed-use project with 63 units of affordable apartments for seniors. 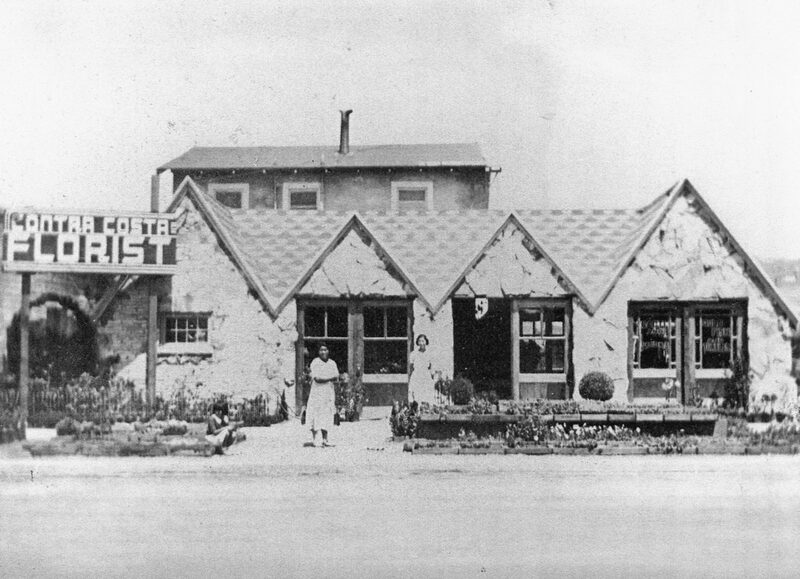 The 40,000-square-foot site next to City Hall at 10860 San Pablo Ave., was formerly home to Tradeway Furniture and a 900-square-foot structure that once housed Contra Costa Florist, a longtime business emblematic of the Japanese-American flower growing industry that thrived for decades in West Contra Costa. The flower shop was operated by the Mabuchi family, who lived in an attached home in the rear. The restored Contra Costa Florist building with the senior apartment facility in the background. The interpretive signs describe the establishment of the nurseries in the area, the first dating back to 1902, their survival despite subsequent exclusion laws targeting Asian land ownership, the removal of families to prison camps during World War II, and what Japanese-Americans faced when they returned to rebuild their lives and businesses. The Tradeway property was purchased by the city Redevelopment Agency in 2009 and designated for senior housing. 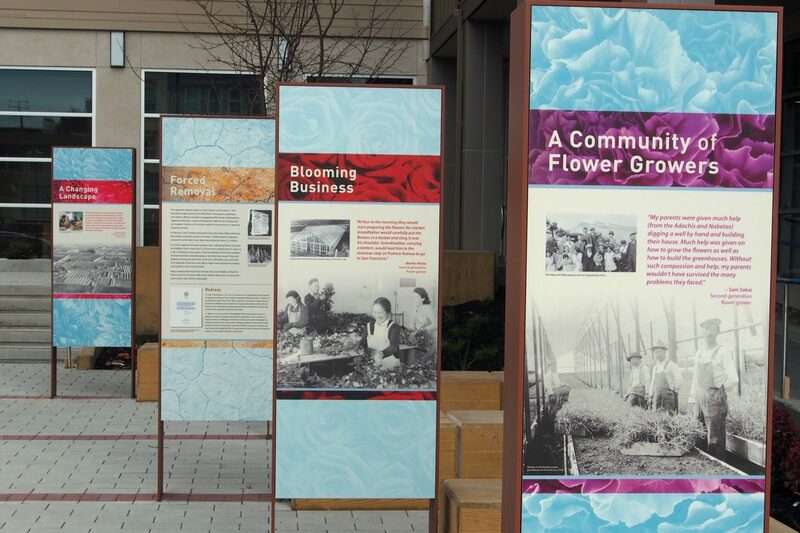 Interpretive signs in the courtyard of Hana Gardens explain the history of the local Japanese-American flower-growing industry in West Contra Costa. An initial historic resources evaluation conducted for nonprofit developer Eden Housing Inc. of Oakland concluded there were no structures of significance on the site. But a second study, done after significant lobbying by the El Cerrito Historical Society, found merit in the florist building, which has been renovated and will be used as a community center for the project. The four-story, mixed-use development has 62 one-bedroom apartments and a two-bedroom manager’s unit, along with 2,000 square feet of ground-floor commercial space suitable for a restaurant or retail use. The project has 23 units designated for a household income at 30 percent or less of the area median income, eight for incomes at 45 percent or lower and 31 for 50 or less. Units will also be offered at least one pass through the AC Transit Easy Pass program for the first three years.